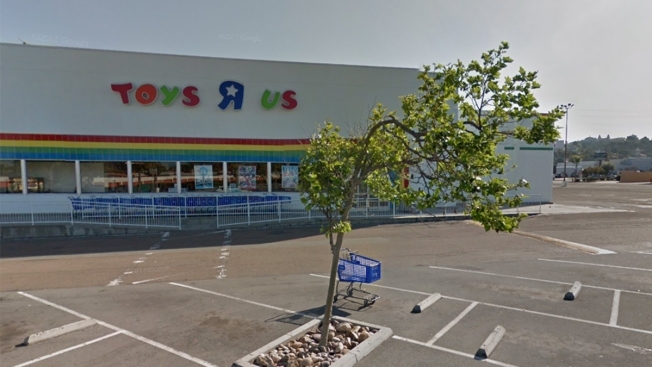 The Toys R Us on W. Morena Boulevard in San Diego's Mission Bay area is among the approximately 180 Toys R Us stores shuttering nationwide. Bankrupt Toys R Us has received court approval to move forward with its plans to shutter about 180 stores, under both the Toys R Us and Babies R Us banners, across the U.S. The liquidation sales at those locations are beginning as soon as Wednesday, the company said. Discounts on items will be as much as 30 percent off, to start. Closures are also set to begin this month and run through mid-April of this year. As Toys R Us restructures its assets, the company will also refresh a number of existing locations to be co-branded as Toys R Us and Babies R Us stores. The company said these efforts all have the goal of making Toys R Us "more viable and competitive" in the retail industry today. Toys R Us has lost market share from competitors including Amazon, Target and Walmart, and more toy brands are selling directly to consumers.